Jessamy Kelly is a designer-maker of contemporary glass and ceramics. A talented, award-winning artist she specialises in the design and production of high quality art glass. She creates limited edition & one off sculptures, vessels and giftware. Brought up in the North East coast of England, Jessamy currently lives and works in Edinburgh. Working mainly in glass and ceramics, Jessamy often combines the two materials in her work. She works mainly in slip cast ceramics and blown or cast glass; using traditional handcrafted techniques such as engraving, diamond cutting and sandblasting to refine her work. Simple and elegant in style, each piece is a limited edition and is a signed original. In 2009, she won The craft & design Selected Maker of the Year Gold Award. She also won the First Prize at The Meffan Winter 2010 Exhibition. 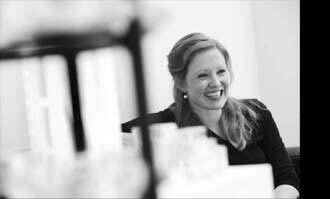 Jessamy’s knowledge of industrial glass design and manufacture has established her as a specialist in the field. Her clients include companies such as Edinburgh Crystal and Kevin McCloud’s homeware brand ‘Place’. Jessamy draws on her specialist glass design skills and manufacturing knowledge. Jessamy offers a bespoke design consultancy and commissioning service; designing bespoke pieces, appropriate to their specific requirements or environments; most commissions are undertaken. Please contact Jessamy Kelly for a current brochure or to discuss consultancy and commissions.